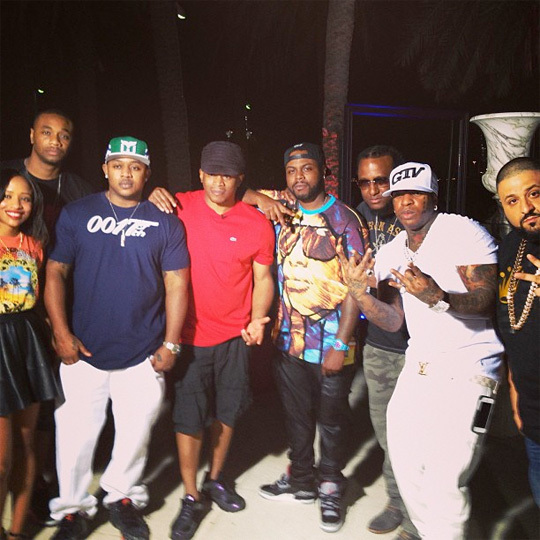 Derick G releases a video showing what the YMCMB team got up to on July 22nd in New York City. During the clip, you can see the Rich Gang crew make an appearance on BET’s 106 & Park and then head to their album release party. Appearances can be seen by Birdman, Slim, Lil Wayne, Future, Mack Maine, Ceelow, Mystikal, Bow Wow, Detail, Busta Rhymes, Bow Wow, Gudda Gudda, Caskey, DJ Khaled, Yo Gotti, and French Montana. 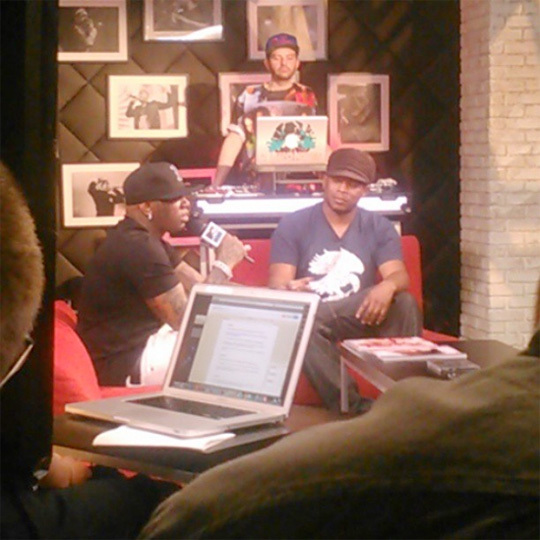 Yesterday, the YMCMB bosses Birdman and Mack Maine made an appearance on MTV’s “RapFix” show to chop it up with Sway Calloway and promote their Rich Gang: Flashy Life compilation album. Baby spoke about Nicki Minaj, how close he is to the artists on his label, his life, why Drake is missing from the Rich Gang album, why he still raps after everything he has accomplished, what his recording process is like, Master P, the Rich Gang “Bigger Than Life” song featuring himself, Chris Brown, Tyga and Lil Wayne, reuniting with Mannie Fresh, advice he gives for other artists starting up record labels, Detail‘s role with YMCMB, and more. Mack talked about his upcoming Food For Thought mixtape that he is still working on, the Trayvon Martin trial, meeting Austin Mahone and not knowing who he was, Lil Twist, rappers apologizing for their lyrics, and more. You can watch their full interview after the jump below. The #1 Stunna also announced that we can be expecting the first single from the upcoming Big Tymers project to drop in September or October! On Monday, Birdman and some of his Rich Gang crew made an appearance on BET’s 106 & Park show to promote their Rich Gang: Flashy Life compilation album, available in stores and online now. In the clip above, Baby talks to Bow Wow and Angela Simmons about how it feels to be recognized as a Broadcast Music Inc icon for his contribution to hip-hop music over the past 20 years, signing Paris Hilton to Cash Money Records, how Rich Gang came about, the “Dreams Come True” music video, and more. After the jump below, you can watch DJ Khaled talk about his studio sessions, Future talk about working with the Rich Gang crew, Mack Maine talk about his upcoming projects, Ace Hood talk about his Trials & Tribulations album plus touring, Busta Rhymes talk about his upcoming “Twerk It” music video, and Mystikal talk about why Detail is important to the YMCMB team. Check out the official music video for Rich Gang‘s “Dreams Come True” single featuring Birdman, Mack Maine, Ace Hood, and Yo Gotti above. 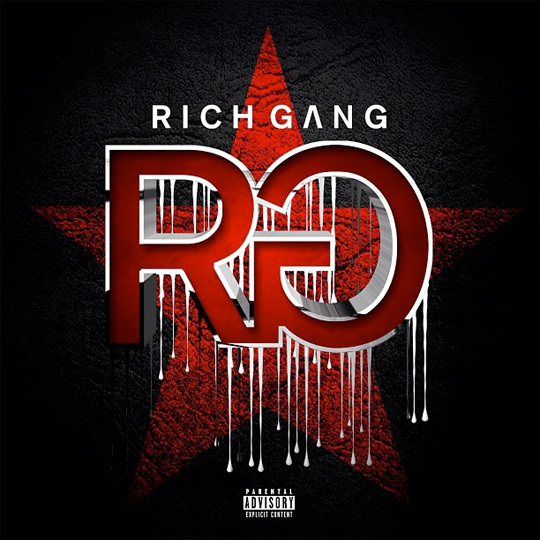 This song can be found on YMCMB‘s compilation album, Rich Gang: Flashy Lifestyle, available in stores and online today. The visual, which was directed by Eif Rivera, was shot at a Beverly Hills mansion in Los Angeles, California on June 28th. Cameos can be seen by Busta Rhymes and Detail. Click here to watch some behind the scenes footage and here to view photos from on set of the “Dreams Come True” video shoot! Here is one of the bonus songs from the Best Buy deluxe edition of YMCMB‘s compilation album, Rich Gang: Flashy Lifestyle, available in stores and online today. The song, which is called “Savage“, features Jae Millz, T.Rone and Birdman. You can stream “Savage” after the jump below!